PORT HARCOURT – PICPOCKETS have dispossessed Port Harcourt based journalist, Udede Jim-Opiki, and an unidentified policeman of phones and undisclosed cash as the Planning Committee and delegates procrastinate at ongoing PDP National Convention in Port Harcourt, Rivers state. DavidoThe duo faced the ordeal in the melee as fan and admirers surged towards Nigerian music sensation, Davido when he surfaced at the Adokiye Amasiamaka Stadium venue of the convention. Jim narrated, “At the entrance of the venue at that odd moment, security men could not organize the delegates and other interested participants in an orderly manner. “They closed the gate and were letting in only co-security personnel and their principals. Meanwhile, the crowd was growing because more persons were coming. “Soon, it became a pushing game where the more you pushed, the closer you got to the entrance and maybe with s little help,you could go inside. “Boy, it was a struggle and even shoes got cut. Sweating and smelling bodies got too close and the evil-minded among them went to work. 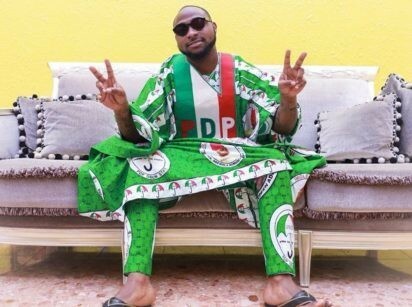 Incidentally, Davido who was oblivious of the incident is right now being introduced to perform at the podium as already accredited delegates awaits the planning committee to kick start the defining phase the primaries beginning with introduction of the aspirants. Meanwhile, feelers from the Governor Okowa headed Convention Planning Committee, indicate that the delay in the exercise is as a result of horse trading among delegates and aspirants in the hope of alignments in some aspirants stepping down for others.